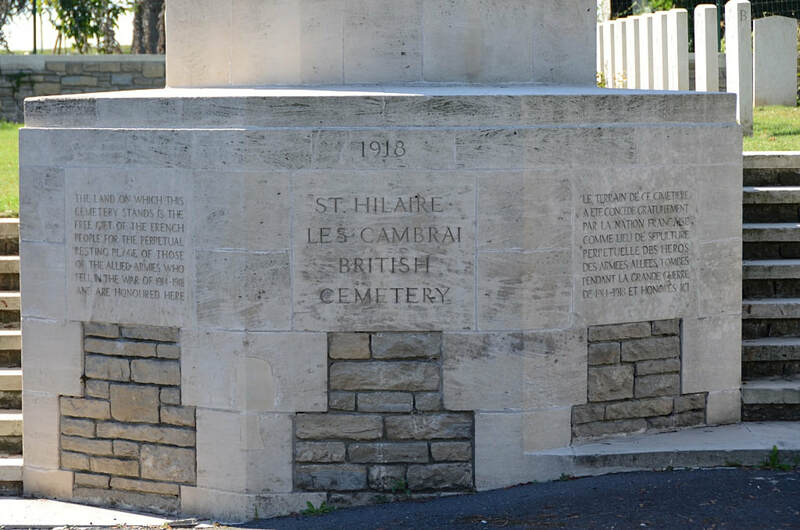 St Hilaire is a village in the Department of the Nord, approximately 12 kilometres east of the town of Cambrai. From Cambrai follow the D942 road towards Solesmes. 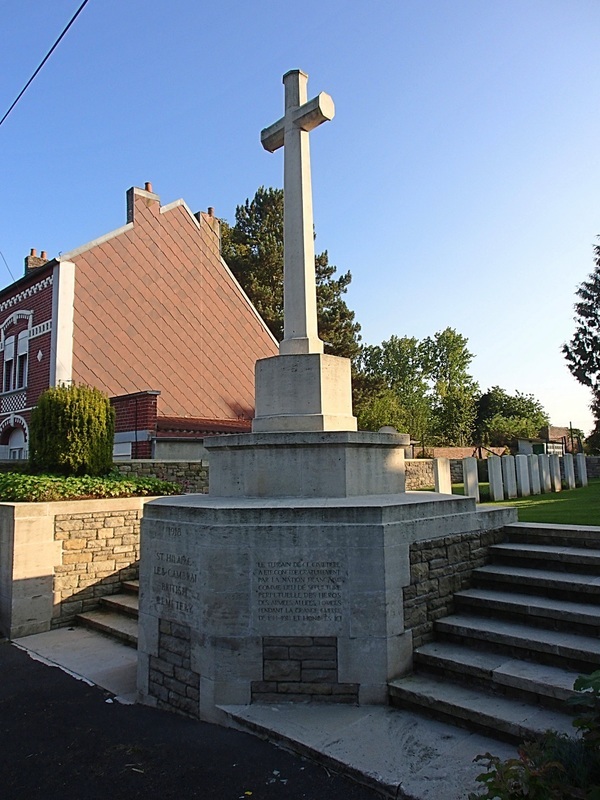 About 12 kilometres from Cambrai and just after Avesnes les Aubert, turn right onto the D134B towards St Hilaire. 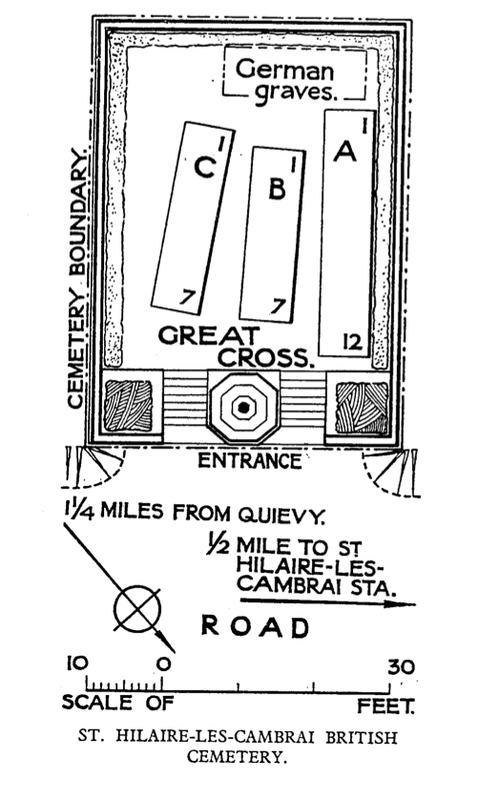 After approximately 1 kilometre turn right onto the D134 towards Quievy. 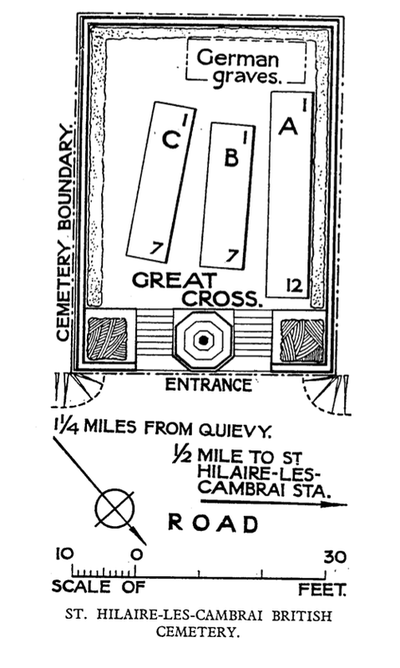 Continue for about 600 metres and then turn left towards Quievy. 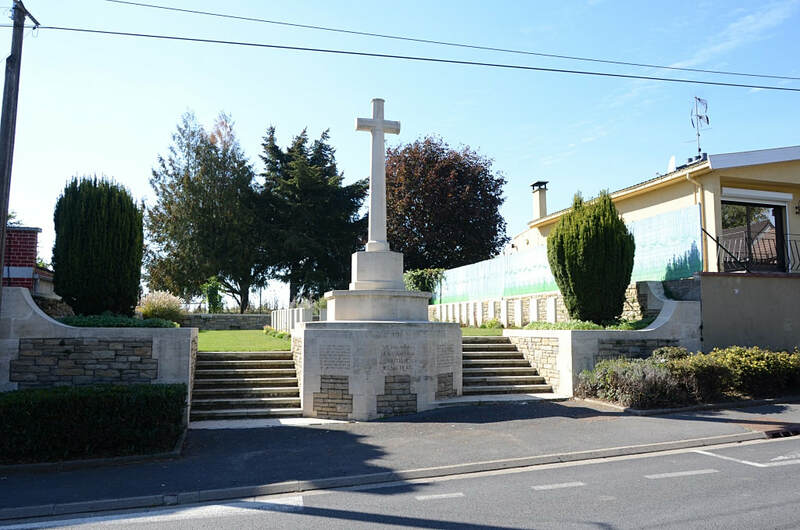 After about 300 metres turn right onto the D45 towards Quievy. 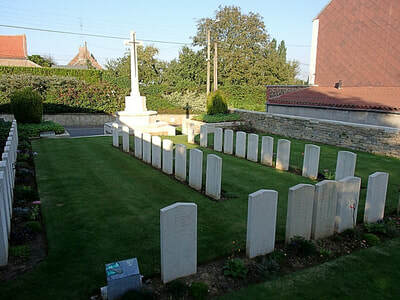 St. Hilaire-lez-Cambrai British Cemetery is 150 metres down this road on the right. 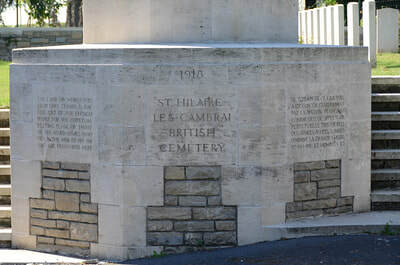 St. Hilaire-les-Cambrai Cemetery was made by the Guards Division late in October 1918, after the capture of the village. 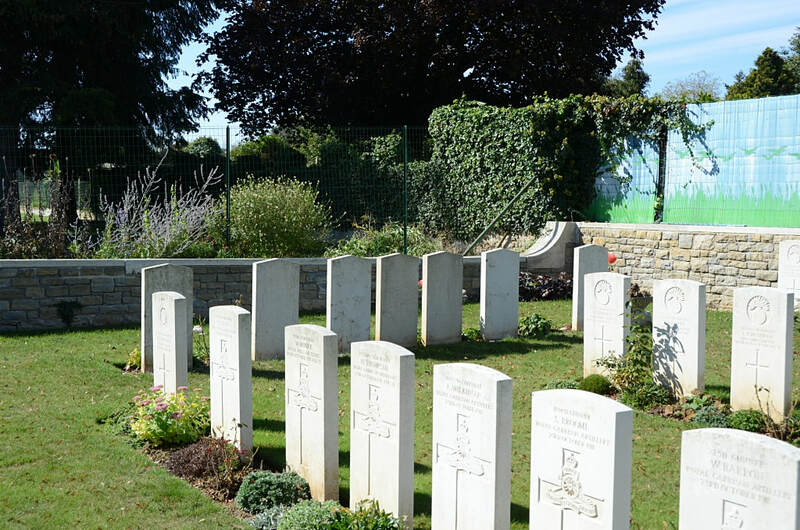 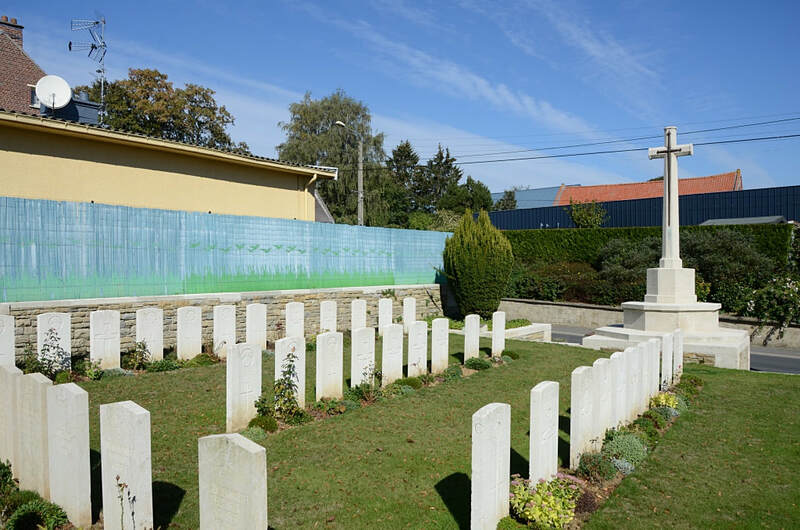 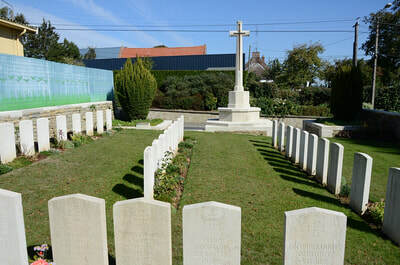 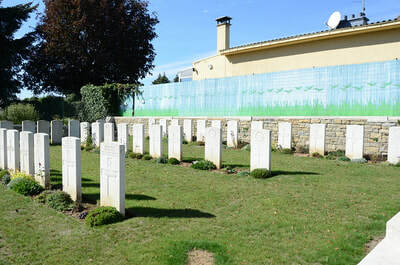 The cemetery contains 31 Commonwealth and ten German burials of the First World War.